Ensure you've already paired your Watch with your iPhone. The iPhone must be connected to the Verizon network and Bluetooth must be turned on. The pairing phone must have the My Verizon app downloaded. If you receive the following error message: 'Carrier does not currently support Apple Watch,' you need to update your carrier settings on your iPhone. During the pairing and setup process, tap Set Up Cellular on your iPhone. 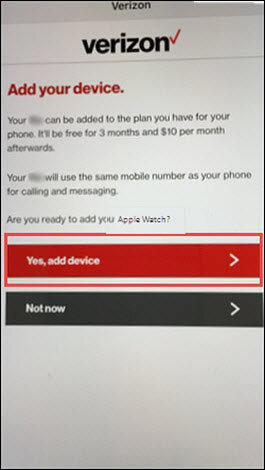 If you are attempting this after the initial setup process, follow the instructions in the 'Set up your cellular plan' section of this Apple support page. 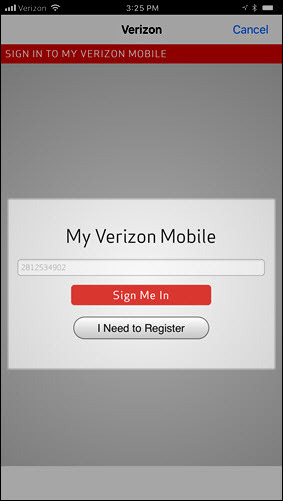 Enter your username to sign in to the My Verizon app. 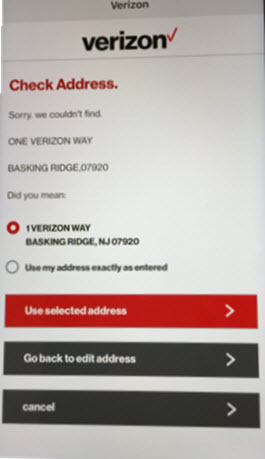 If you haven't registered your mobile number for use on the My Verizon app, tap the I Need to Register button and follow the prompts. 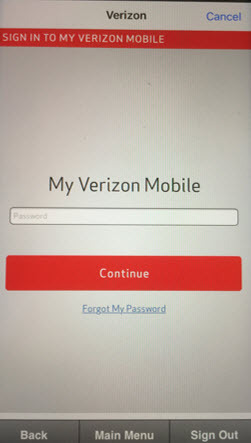 To activate service, you must install My Verizon and sign in as an account owner or manager. For more on account roles, review this info. Once you sign in, the system performs checks to see if you are on a compatible price plan. An error displays if your price plan is not eligilble for NumberShare; for more info on compatible plans, visit the NumberShare FAQs. If you are upgrading or replacing your existing Apple Watch, follow the instructions (beginning with step 4) in the Replace Existing Device - Apple Watch® article. If address isn't found in the system, choose whether to use suggested address or the address as entered. If you get an error, ensure the State is abbreviated (e.g., 'New York' must be entered as 'NY'). 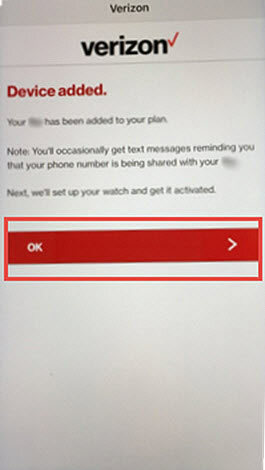 From the 'Cellular Is Ready' screen, tap Continue (keep the Watch and the iPhone close together until you receive the alert that syncing is complete). 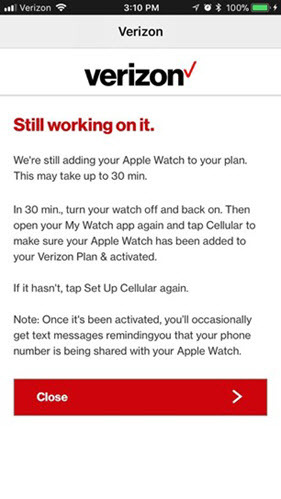 If the activation is delayed, the screen below appears; follow the instructions given to complete Watch activation. 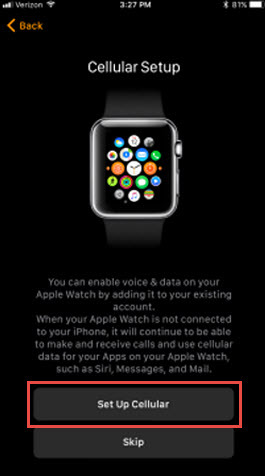 From the 'Device Added' screen, tap OK to complete activation and open Watch app.